He is one artist on many ‘One’s to Watch for 2016’ lists, and Indietronica is honoured to be premiering his next single. It’s Alex Vargas with ‘Wear Your Demons Out’. Alex has a knack of building passion from the get go. He does this by creating inventive and explorative layers of sounds that are perfectly captured by those ghostly vocals of his. It’s seriously spine tingling stuff. And effortless as well. The guy is a musical genius, and no wonder he’s a one to watch for 2016. The EP is released on 22 January via Copenhagen Records / Locomotion Entertainment. Listen to some more tracks from the EP, below. 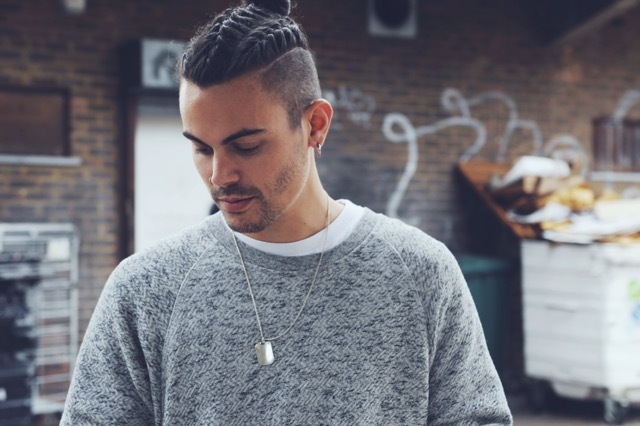 Expect some great things from the new half British / half Danish electronic artist on the scene; Alex Vargas. Having already supported Jack Garratt, it’s now Alex’s time to shine. His new single, ‘Shackled Up’ brings together slick, left-field production with jaw dropping vocals and unashamedly massive melodies, culminating in a suitably huge track that resonates effortlessly on so many levels. It is the lead single from his new EP, ‘Giving Up The Ghost’, which is released 22 January via Copenhagen Records / Locomotion Entertainment.